This build is a base that you can weight down. 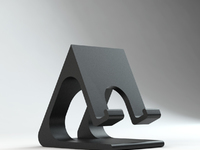 The base supports arms that will attach to your phone and can be adjusted to different places and twisted to portrait or landscape. 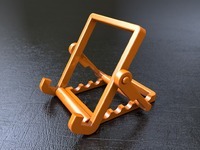 This mount will hold your phone for you wherever you adjust it to. 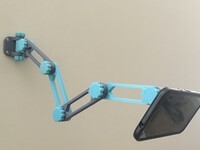 You can print as many arms and connectors as you want to make the mount longer, but the all.stl file has 2 arms.